Who all is gearing up for a little VDay getaway next weekend?? 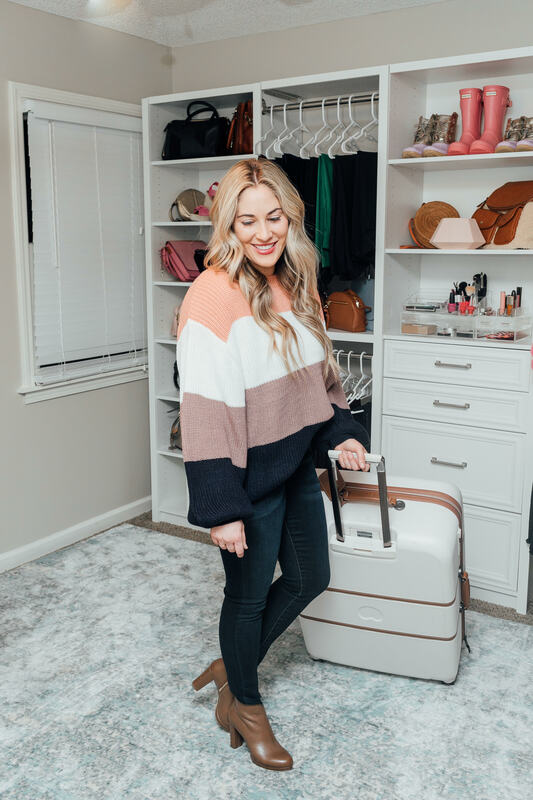 Leighton and I will be having a girls’ weekend, but in case you are heading out of town with your hubby, I wanted to share some things you just have to pack to have a great getaway. And if you can’t get away, that doesn’t mean you can’t have a staycation. Get a sitter and pretend like you’re on vacation. No laptop, no laundry and no dishes. Just go have fun together! 3.) A bikini. Call the hotel ahead of time before you go to make sure they have a pool. Hopefully they will have a hot tub or maybe even an indoor pool or steam room. Bonus, see if they have a spa and schedule a couple’s massage. It’s perfect for relaxing on your trip. 4.) A killer dress and heels (or otk boots.) If you’re going out to dinner, you just have to pack a dress and shoes that will really make a statement. Save the casual outfits for the daytime, but for date night, pull out that dress you’ve been saving. How do you typically spend Valentine’s Day – traveling, staying home and cooking or having a little staycation?? Let me know in a comment below! P.S. I’m so excited to be teaming up with Delsey today to give away their Chatelet Weekender bag to one lucky reader! The Chalet collection is my absolute favorite, and I never travel without it. To enter, just use the rafflecopter widget below and good luck! Loving these Valentines getaway essentials? Click here now for some cute V-Day looks!! 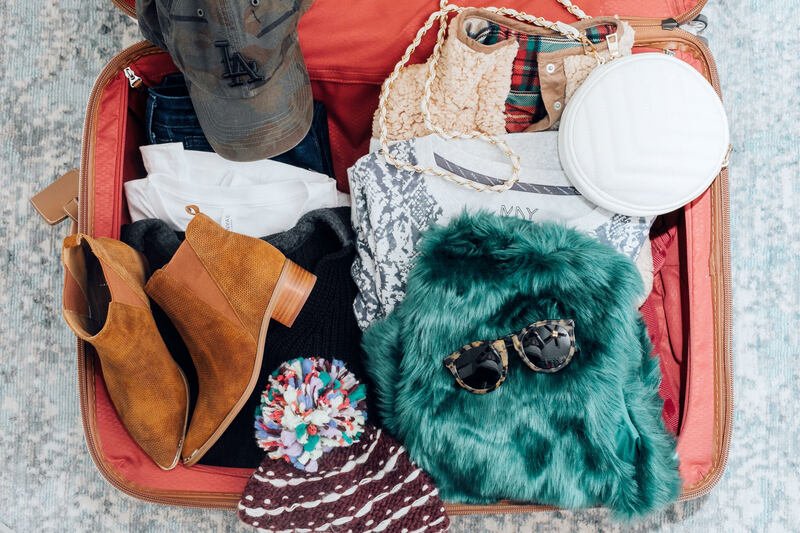 That looks like the perfect things to pack. All of those clothes are super cute. Don’t see the rafflecopter widget to enter.. I need to do a getaway sometime soon either with my husband or my gal pals. I love this fun list of things to bring! Carry-On Expandable Spinner Luggage in purple. I love the Delsey luggage you have. It’s my favorite! I know if I go anywhere with my husband to bring comfortable shoes because he likes to always be on the go. Great list! This is such a cute weekender bag!! Love how sleek and chic it is! I like the CHÂTELET collection a lot! My favorite bag would probably be the CHÂTELET carry-on spinner. I love the Titanium in Graphite. I need that suitcase in my life! 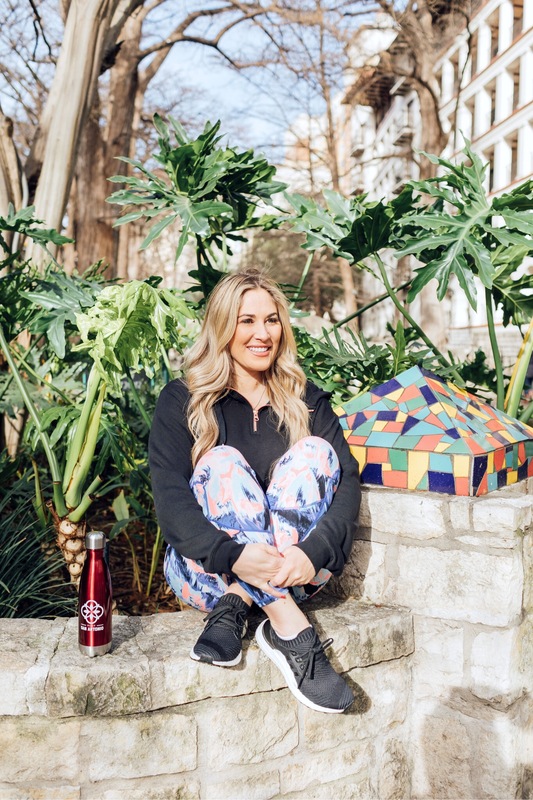 I have a staycation coming up so I’m loving these tips! The Delsey CHÂTELET HARD + in cream/white is my favorite piece they make! DEVAN 21″ EXPANDABLE CARRY-ON is such a nice bag love to have one to use when i travel. I like the Titanium carry on! I like the Infinitude Spinner Carry-On! I love the Spinner Carry on with bonus duffel bag ! I like the sky max ! I have two favorites the sky 2.0 and the devan. I like the EZ Pack. Sky Max is such a small weekender ! I like the Chatelet hard+ spinners. I love the Devan bag! I like the titanium in graphite. I love the Chalet Hard! So cute and practical! I like the INFINITUDE 29″ Exp. Spinner. I like the TITANIUM one. I love the 3piece Devan set. I could use all of these for when I travel. I love the EZ Pack essentials!! But that weekender is AMAZING!! I like the Fusion. It looks the best for me. I love the Sky Max carry-on bag. Perfect for traveling! I love the Spinner Carry-On with Bonus Duffel Bag in pink. My favorite is the Devan 24″ EXPANDABLE SPINNER UPRIGHT. I really love the Devan upright spinner!! I like the spinners. I’m am a very clumsy person. The spinners look easy to handle. I Like the DEVAN 28″ EXPANDABLE SPINNER UPRIGHT. It would be the only luggage I would have to take when traveling. I like the fusion CARRY-ON EXPANDABLE 2-WHEEL LUGGAGE bag. I think the purple Titanium is super nifty! I love the wheeled underseater. Great bag!! The CHÂTELET HARD + is fabulous. Love it! I’m liking the Shadow 3.0 bag. The Titanium has my name all over it. I’m liking the Titanium carry on. My favorite bag would be the Aerosoft. I like it for weekend trips with the kids when I have to shove a lot of bags in the truck. I like the COMÈTE 2.0! Love that their bags are so affordable! I really like the Chatelet Soft Air Weekender Duffel in cream. Sky 2.0. or anything in pink ? https://shop.delsey.com/product/2-pc-set/spinner-carryon-with-bonus-duffel-bag?attribute=e963db1b-0bf3-4e78-8aac-45661ba8d6c9 / That is the one I need. My luggage is over 25 years old. I love the Aero 19 inch expandable rolling luggage with so many colors to choose from! I love the Devan 24″ expandable spinner in blue – perfect! My favorite is the Hyperlite 2.0 2 wheel carry on spinner. This would be great to travel with. I really like the fusion, I love that it can be expandable. I like the COMÈTE 2.0 EXP. SPINNER CARRY-ON in plum. I LOVE the aesthetic of this whole post! The luggage is so classy and chic! I’m loving this weekender! Will have to look at getting one for my next vacay!! I really love the Infinitude Spinner Carry-On. It’s beautiful. I love the Devan 24″ EXPANDABLE SPINNER UPRIGHT – the blue is fantastic and it’s a great size! 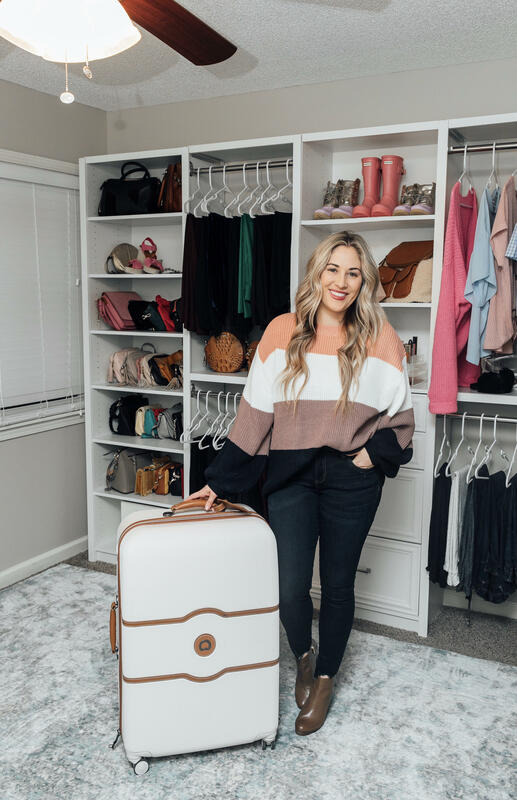 I love the CHÂTELET HARD + 28″ SPINNER LUGGAGE! so cute! I love the Spinner Carry-on in Seafoam. Would be perfect for vacation. I love the CHATELET SOFT AIR BAG. Perfect bag for me! I love the Spinner Carry-On with Bonus Duffel Bag. CRUISE SOFT 2 Wheel Underseater is awesome looking. I even like the color. I am loving the Titanium – the hard side expandable spinner carry-on in the green color (my fav!). Looks like a cute bag. I love the Chatelet Weekender bag. thanks for the chance to win. Spinner Carry-On with Bonus Duffel Bag in Rose Gold! Chatelet Bag for this lady! That e Chatelet hard Suitcase is dreamy! I love Delsey’s Upright Spinners, they have the most unique adorable colors instead of the BLAH black you always see! We typically spend Valentine’s Day going out for drinks and a yummy steak dinner. I like the Fusion bag. I love the Spinner Carry-On with Bonus Duffel Bag in the coral color. The titanium carry on in purple!! I love the chatelet air 28″ spinner in Angora. Where we going? Time to pack for another adventure! My favorite is the AERO 19″ Carry-on Expandable Rolling Luggage in Blue for airplane trips. I would love to have the Spinner Carry on with the bonus duffel bag!! I love the two piece spinner carry on set. I’m loving those pastel colors! I like the Fusion Carry on in blue. The Delsey Air Elite Spinner Luggage 29″ in cobalt is my favorite. Spinner Carry-On with Bonus Duffel Bag in pink! The must have that I love is the TITANIUM in purple. My favorite Delsey bag is the Fusion. I love the Delsey chatalet weekender bag in that exact color! I have had my eye on the Delsey CHÂTELET HARD+ Spinner Bags for quite some time. I love the look and sturdiness of these! I usually spend Valentines Day at home, but I am in need of a weekend getaway. Thank you for the tips and the awesome giveaway! My favorite is the Spinner Carry-On with Bonus Duffel Bag (2 pc set) in rose gold color. I absolutely love the Delsey luggage! I like the CRUISE LITE HARDSIDE the best. It was really a tough choice. Seriously so many cute pieces! I would love the Carry On Expendable Spinner Luggage in Black! I would really like to have an INFINITUDE Exp. Spinner Carry-On. That is so great looking and would fill my needs. Blue is my favorite color. I like the Fusion bag. I like the Devan expandable upright spinner. Love the bag. Glad you recommend casual and athletic clothing in addition to the heels and dress. I like the Devan expandable spinner bag. I like the Titanium looks sturdy and like the colors. I absolutely love this ez pack in black, perfect! My favorite is the CHÂTELET HARD 28 inch spinner in white. It is so beautiful and classic. This would be a great bag for our next cruise.Just the right size! Spinner Carry-On with Bonus Duffel Bag. The Devan spinner is so cute! I really like the Chatelet Hard luggage. I really love the Titanium!! Great blog! Your hair, by the way, is fabulous…also, that weekender bag is really lovely. Just amazingly beautiful. Thank you for the opportunity. The CRUISE SOFT 25″ Exp. Spinner Suiter Trolley looks like a useful piece. This bag actually is my favorite, I’ve been drooling over it for awhile now. I love the DEVAN 24″ EXPANDABLE SPINNER UPRIGHT. So many great other ones, too! 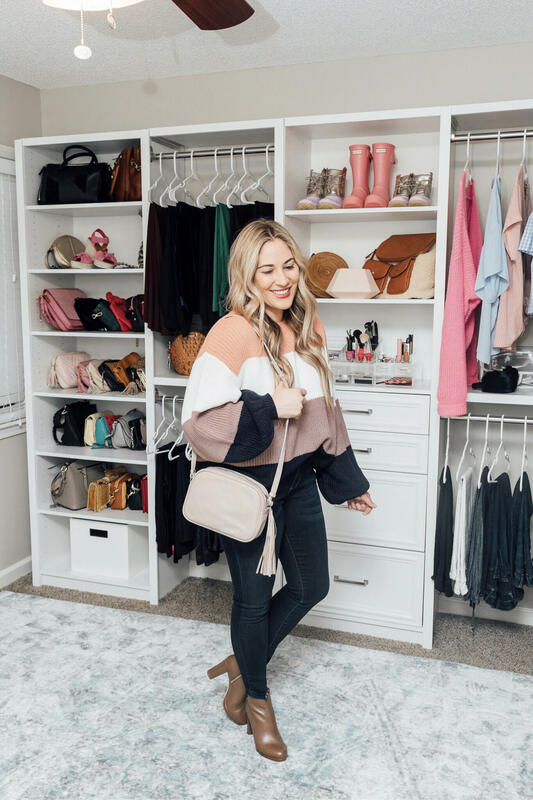 Couldn’t agree more – perfect list of items/looks to pack! I like Infinitude. It’s pretty large and I always tend to over pack! I really love the Chatelet Soft Air Duffel Bag. Lovely! The EZ pack Two Wheeled Under Seater has rave reviews and I can understand why- awesome. I like the Cruise Lite Hardside Carry on. wow this bag you are giving away would be my fav! It’s actually pretty! I could use it. There is a 2 pc set, a spinner and bonus duffel bag on their site that I would love to have, the colors choices are nice too, love the lt blue one. I love the SKY 2.0 so beautiful !!!! 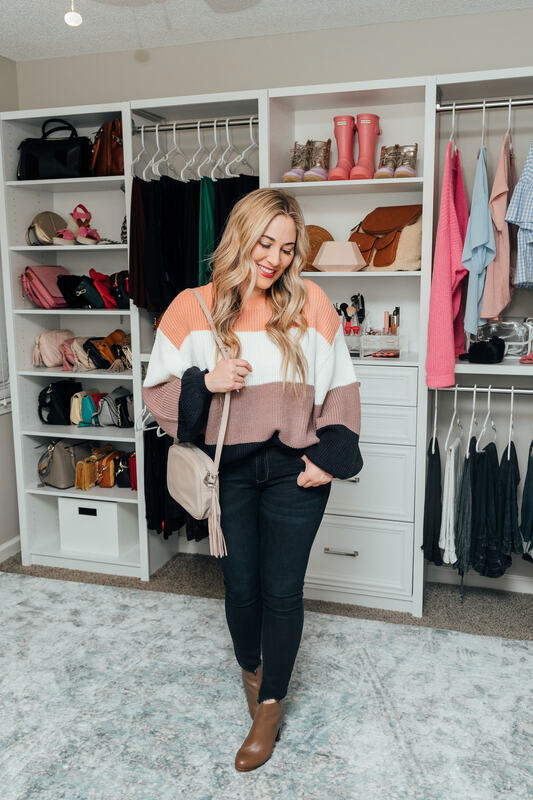 I like that striped sweater…and the clean lines of that bag! Eekkksss, I would love to have their Spinner Carry-On with Bonus Duffel Bag. These are perfect for a trip! I love the Aero Soft bag. I love the two piece spinner set because of the beautiful pastel colors! I love the CHATELET SOFT AIR! I got my hubby a Delsey suitcase (I think it’s the Sky Spinner) a couple of years ago for his business travel…and it’s a great bag! Personally, I’d love their CRUISE LITE SOFTSIDE in the pretty blue color! This looks like a great, practical bag! Love all the bags! Super cute! Aero Soft Spinner in Grey. I could definitely use some new luggage right about now! I’ve heard great things about this brand! My favorite Delsey bag will be the one I win. I like the DEVAN 28″ EXPANDABLE SPINNER UPRIGHT. It seems very versatile. This is a cute website! I love the bag and the shoes. Spinner Carry-On with Bonus Duffel Bag it Classy. I love the AERO 29′ expandable rolling luggage. I love the CHATELET SOFT AIR SHOULDER BAG. Cute items. Love the bag. Wish I had that closet too! This bag looks like it would be almost as much fun as a get-away weekend! I really like the Devan. Stylish, functional and cute. i like the fusion bag cute! We went on our getaway early. I packed way too much lol. I LOVE EVERYTHING ABOUT THE 2 WHEEL CARRY ON HYPERGLIDE. DEFINATELY MY FAVORITE! The 2x set in mint! spinner with the duffle! Who doesn’t need a new bag! Devan is my fav bag!! Love the Weekender and the Titanium Spinner and believe you me, it was hard to narrow down a favorite to just those two! I love the Delsey Infinitude Exp. Spinner Carry-On. Just love Delsey bags, especially the spinner carry-on with duffle bag. The EZ Pack. The name says it all! Great list! I will definately use it as reference for my vacation this summer. I love the Spinner Carry-On with Bonus Duffel Bag in Anthracite Gray. It looks so sleek and sophisticated! I like the HYPERLITE 2.0 2-Wheel Carry-On Spinner. I want this piece in my collection. Sky Max is such a great weekender bag! Love the bright blue color of the Fusion CARRY-ON EXPANDABLE 2-WHEEL LUGGAGE, I need an easy access outside pocket and this fits my needs. I love the bright blue on CARRY-ON EXPANDABLE 2-WHEEL LUGGAGE, this also has easy access outside pockets which I love. Not really sure but if I win, I will have Mom pick one! I really like the Sky 2.0 bag! The 2 piece set is my favorite. Infinitude – I could get everything I need, and room for a few things I MIGHT need. Great design! I like the 2 piece set in Rose Gold. DEVAN 21″ EXPANDABLE CARRY-ON would be perfect for long weekends. This is my favorite Delsey bag – So unique-looking and VEGAN leather, yay!! I love the chalet collection!! The bag is perfect for my brother flying to Texas from Minnesota for cancer treatments; maybe it would bring him luck. My favorite Delsey bag is the Titanium carry-on expandable spinner luggage, the international carry-on in red. Chatelet Soft Air Is my fave!! The Chatelet hard cases look really nice. I love their Titanium bag! And so many great colors too! I love their Titanium bag! And so many great colors too! And it is indestructible! I would definitely choose the pretty purple. The Chatelet bag pictured is GORGEOUS! I love the Titanium in silver! I really need some new luggage. I am using a small hand-me-down overnight bag that is probably 20 years old! I would love some new luggage from Delsey! EZ PACK 2 wheeled underseater!! My favorite Delsey bag is the Titanium in Purple. I love the matte finish and the integrated lock is a definite plus. I like the CHROMIUM LITE. The green Titanium is my favorite. The DEVAN 21″ EXPANDABLE CARRY-ON looks perfect for weekend getaways! SHOULDER BAG. My job requires a lot of travel and this bag has nice compartments and holds a laptop. I love the devan, it looks to be a great size. I love the Devan series (named after my daughter. I like the 2pc set it gray. I like the Weekender you have in your picture! I love the bag in the picture. Great look. My favorite is the EZ Pack Bag, looks great for air travel and putting under the seat! Titanium in Silver is my favorite. Weekends would be awesome with Spinner Carry-On with Bonus Duffel Bag. I absolutely love the white CHÂTELET HARD. Too cute! 28″ SPINNER in the white color. I love the CHÂTELET luggage so much that I recognize it in TV shows and movies. I just saw a character in a Bravo series using CHÂTELET luggage. Love the Chatelet Soft Air as well as the great quality Wardrobe Collection of Garment Bags! The chalet bag and the spinner carry on are my favorites. The Hyperglide 2 wheel carry on. Love the Delsey HYPERLITE 2.0 Spinner! Only 4.6 pounds for much easier travel ! I love the 2pc set it gray. The Hyperlite 2.0 is my favorite; it looks just like the now-discontinued bag I’ve been taking everywhere for years. I like the COMÈTE 2.0. Would love this for my darling wife. Carry-On Expandable Spinner Luggage looks awesome in any color. Thanks! The 2 wheeled underseater looks fabulous! I like the EZ pack! I like the HYPERLITE 2.0. My favorite bag is the INFINITUDE. I really like the Aero Soft Carry On Expandable Spinner. So versatile and I love the spinner wheels! I love the Spinner Carry-On with Bonus Duffel Bag! ever have to check it at the gate. My favorite is the EZ Pack Under Seater. I love that it has wheels. I like the Devan – blue is my favorite color. 2-Piece Set. I think the Steel Grey color is gender neutral and just different enough to stand out in a sea of black bags on the luggage return. DEVAN 24″ EXPANDABLE SPINNER UPRIGHT is perfect because you can expand for all the trinkets that you buy. I like the Spinner Carry-On with Bonus Duffel Bag in Rose Gold. Thank you!! I really like the INFINITUDE25″ Exp. Spinner. I love their under seat carry on’s!! Wheeled Underseater looks like a must! Hope you two have fun on your girls weekend!! I like the Devan 24 inch expandable spinner upright. i love all those bags but my fav is the titanium spinner! Th Spinner Carry On with Duffel Bag. LOVE the coral color! Love your site! Titanium is my FAV. I love the Titanium because it looks sturdy and the colors are nice. I need new luggage. Plus I have a tendency to overpack. This is such a beautiful piece luggage, I will have no problem recognizing it as it comes down on the luggage carousel. This is such a beautiful piece luggage, I will have no problem recognizing it if I left it. The DEVAN 24″ EXPANDABLE SPINNER UPRIGHT is my favorite bag! Love the entire look!! Love the weekender bag!! Love it all!! I love the Spinner Carry-On with Bonus Duffel Bag in Living Coral. I like the Easy Pack, It seems the way to go if you are leaving for a short weekend get-away! It’s a very sleek and classy look. The Infinitude would best fit my needs. My favorite is the EZ Pack. I like the spinner carry on! AERO SOFT is my favorite! Very nice .Would love to win this. This weekender is large enough for a proper getaway. Elegant too! I have a Delsey tote and really like it. My favorite pieces are from the Chatelet collection. I love the royal blue Fusion. I need a good carry on. I love the TITANIUM. I’m always afraid my carry-on is not going to fit. This one looks sturdy and should fit fine. https://shop.delsey.com/product/aero/19-carryon-expandable-rolling-luggage?attribute=1d3e047a-345f-4d0e-a441-22dee81aea38 in blue! perfect size! I Love the EZ pack. Love all your ideas! Going on a trip soon! They will definitely come in Handy! The red infinitude spinner carry on is at the top of my list! I like EZ Pack best, because I travel light! I like the Expandable Carry On 2 wheel luggage. I like the Fusion expandable carry on 2 wheel luggage. I liked the CHÂTELET collection. I love the CHÂTELET HARD + carry-on spinner! I love the Aero 21″ expandable rolling luggage. Sorry I didn’t read the question well. My favorite is the BELFORT DLX. I like the living coral 2 pc set. My favorite is the TITANIUM in purple! I like the Chatelet Soft Air in Mocha. I like the Cruise Lite Hardside! The TITANIUM 21″ CARRY-ON, 25″ AND 29″ SPINNER LUGGAGE SET in Purple is my Favorite! EXP. SPINNER CARRY-ON. Easy to see on the luggage carousel. I love the CHÂTELET carry-on spinner. My favorite bag from Delsey is the CRUISE LITE SOFTSIDE. The AERO SOFT is a nice bag. My favorite is the weekender.